50% OFF! Luma Smile Teeth Whitener worth Rs. 1,300 for just Rs. 650! 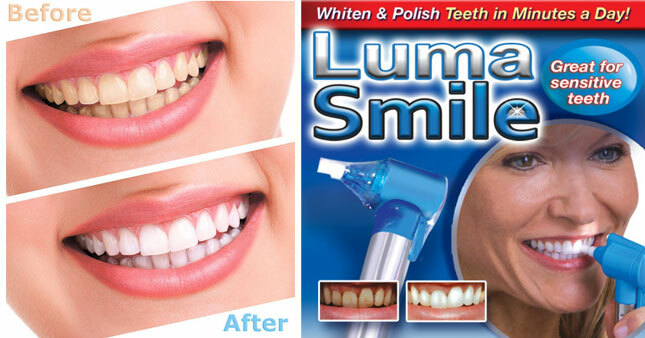 Luma Smile Teeth Polisher is best tooth whitener and polisher which removes dark stains easily. Luma Smile whitens and polishes your teeth in just minutes a day! The rotating rubber cup gently removes stains giving your shiny and bright teeth. It glides across teeth to polish surface without any enamel damage risk. With battery operated Luma Smile it also comes five polish cups which lasts up to 100 uses. Voucher is valid only for one Luma Smile Teeth Whitener.